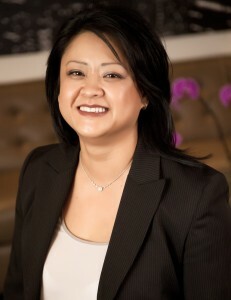 Patricia joined Liu & Associates LLP in its predecessor form of Raymond C. S. Liu Professional Corporation in 1998. Previous to that, Patricia has articled with CA firms in Edmonton including the Auditor General and has taught income tax professional development courses for the Institute of Chartered Accountants of Alberta. In her career before accountancy, Patricia has worked with the Edmonton Police Services in the Victim Services Unit and The Commission for Canada in Hong Kong. Patricia currently practices in taxation and compliance, assisting clients in various areas which include tax planning, tax audits, tax objections as well as special consulting projects. Patricia graduated from the University of Alberta with a Bachelor of Arts degree in 1994 with a major in clinical psychology and a minor in sociology and was admitted as a member of the Institute of Chartered Accountants of Alberta in 2002. Patricia completed level I and II of the In-Depth Tax Program of the Canadian Institute of Chartered Accountants. Patricia is a happy mom and gardener, who loves decorating for Halloween. She and her husband, Raymond, enjoy working together.